This study aims at developing a news surveillance system able to address multilingual web corpora. As an example of a domain where multilingual capacity is crucial, we focus on Epidemic Surveillance. This task necessitates worldwide coverage of news in order to detect new events as quickly as possible, anywhere, whatever the language it is first reported in. In this study, text-genre is used rather than sentence analysis. The news-genre properties allow us to assess the thematic relevance of news, filtered with the help of a specialised lexicon that is automatically collected on Wikipedia. Afterwards, a more detailed analysis of text specific properties is applied to relevant documents to better characterize the epidemic event (i.e., which disease spreads where?). Results from 400 documents in each language demonstrate the interest of this multilingual approach with light resources. DAnIEL achieves an F 1-measure score around 85%. 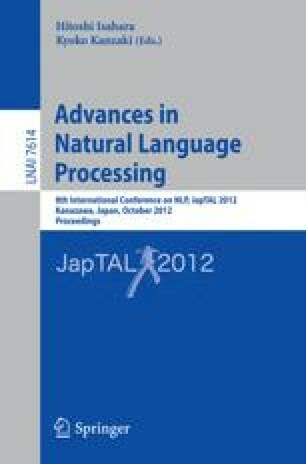 Two issues are addressed: the first is morphology rich languages, e.g. Greek, Polish and Russian as compared to English. The second is event location detection as related to disease detection. This system provides a reliable alternative to the generic IE architecture that is constrained by the lack of numerous components in many languages.